Saudi IoT is a multi-faceted event comprising of various elements. 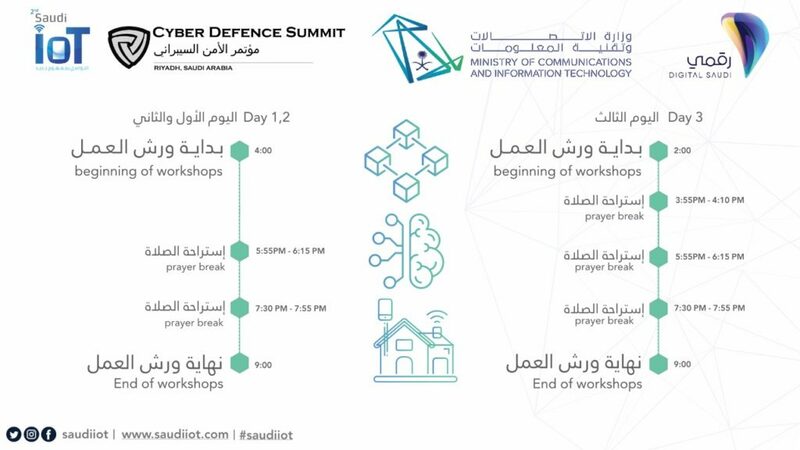 With 2019 edition, Saudi IoT launches Training Program at the Saudi IoT Platform exclusively for the tech-enthusiast who wish to upgrade their skill sets in the field of IoT, Artificial Intelligence & Blockchain. Saudi IoT brings internationally recognized Trainers to discuss the most relevant & high-quality content. Know more on IoT, AI and Blockchain in the 3-day Training Program starting from 13 to 15 February at the Riyadh International Convention & Exhibition Center. Each Training is carefully tailored / curated by Team of Experts who carry an in-depth industry knowledge & vast experience & who are plugged with a global network of Professional Trainers & Subject Matter Experts. Our Trainers are of high caliber & visionary industry leaders from all disciplines and modes. They are spotted & brought for their relevance, dynamism and insight.